The appearance of your teeth plays an important role in your self-esteem and how others view you. In fact, people who have a perfect smile are often perceived as being better leaders and smarter than those with alignment issues. Not to mention, if you are dissatisfied with the appearance of your teeth, you are likely to have lower self-esteem when compared to those that have properly aligned smiles. To resolve your bite and alignment concerns, you have likely considered orthodontics in the past, but you do not want to deal with the visibility or restrictions of metal braces. 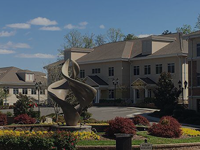 Now, you can get the results you want with a nearly invisible option from your dentist in Cary. 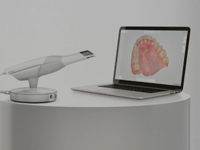 With Invisalign, you will get a straight smile with a sophisticated solution. The alignment of your teeth and bite are not just important for cosmetic purposes, but also your oral health. Crooked and overcrowded teeth are harder to clean, infected by more virulent bacteria, often have compromised bone support, and can increase your risk for periodontal disease. Not to mention, you have a heightened risk for dental emergencies that affect the anterior teeth. 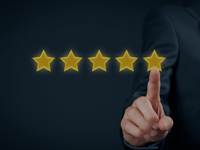 You can help to protect your oral health while restoring your confidence with an FDA-approved solution. 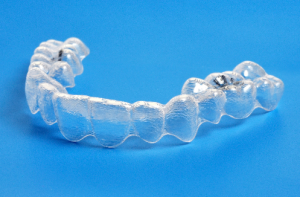 With Invisalign clear aligners, you will reposition your teeth and bite to improve your smile and quality of life. 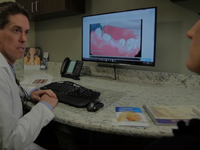 With Invisalign in Cary, a series of custom-made clear aligners are developed using photographs and digital scans of your teeth. You will wear each one for 22 hours per day to gradually move your teeth into their correct positions. After a week, you will switch to the next one in the series. On average, it will take about one year to complete the series. During your journey to a straight smile, you will enjoy a treatment that is virtually undetectable. In addition, it provides added comfort because there are no wires or brackets irritating the inside of your lips or cheeks. The aligners resolve many of the common complaints associated with traditional braces, like dietary restrictions. Since the aligners are removable, you can still eat and drink what you like; however, you should never have anything except water while wearing therm. In addition, your oral hygiene habits will remain unchanged because there are no brackets or wires to clean around. Simply brush and floss as you normally do while taking the time each day to clean the aligners. With Invisalign, you can invest in your confidence and oral health with a straight smile. Enjoy a convenient and discreet solution to get the results that you have always wanted. 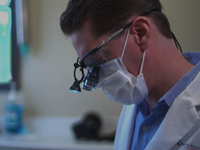 For the last 17 years, Dr. Darren Koch has provided comprehensive dental care to the community. 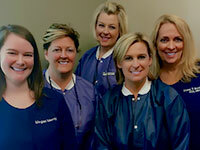 In addition to general dentistry, he provides an array of specialty services, including Invisalign. If you are ready to invest in yourself with a straight smile, it is time to contact our office to schedule your consultation for clear aligners.